Our group conforms to a corporate philosophy, observing a decree, by laws and performing fair business activity, and aims at that discretion contribute to the realization of affluent society and the rich future. We recognize that it achieves a corporate social responsibility, and a corporate value is enhanced. 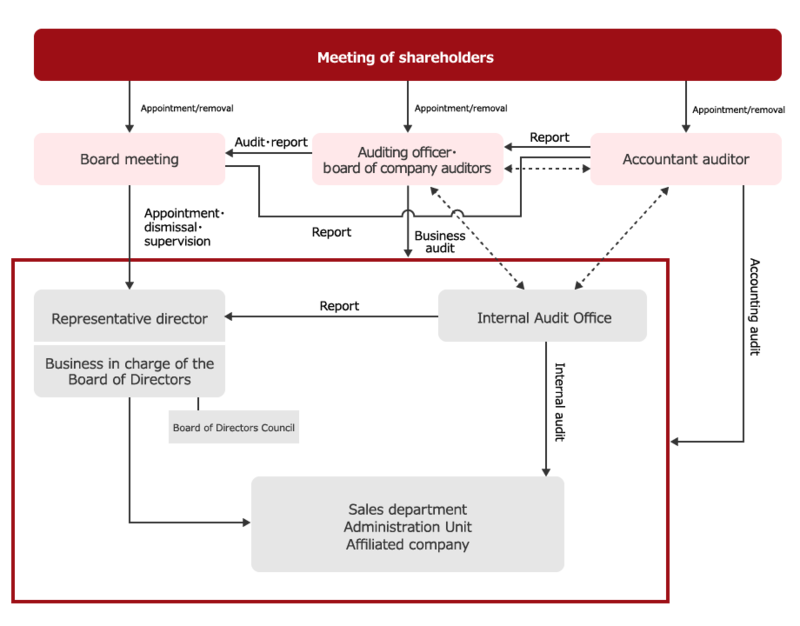 Therefore we place to make corporate governance enrich with one of an important management problem and we are striving for structuring of effective organization.